Hey, everyone. It's FRIDAY!!!! This week seemed to go by so quickly, didn't it? 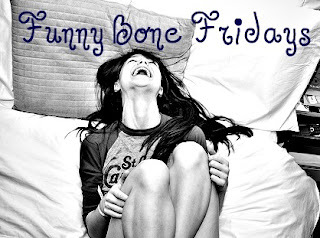 Anyway, for this week's Funny Bone Friday (a meme that we host on this blog), I've chosen Julian Smith's song "I'm Reading A Book." If you've never heard of Mr. Smith, be sure to check out some of his other stuff; he's very well known on Youtube. Be sure to stop by our Forum to be a part of our first ever Bookclub.